If you knew me back in the day, I’m sure you remember my unfortunate hair. It was huge and messy, like permanent bed head. It wasn’t that my hair was unmanageable, it was just that I had no idea what products to use and how to style it, so I just didn’t do anything as a result. Then one day I was walking through a store when I saw these super colorful, fun shaped bottles of hair product. I’m sure you all know I’m talking about Bed Head by TIGI because I’ve never seen another brand have such unique packaging. I was a pretty indecisive kid and must have spent at least 30 minutes in front of the selection before picking one out to try. I wound up purchasing the pomade purely because I loved the blue container, and it ended up saving me from frizz all summer long. Thankfully at 27, my hair is finally under control and a lot of that has to do with the products I use. 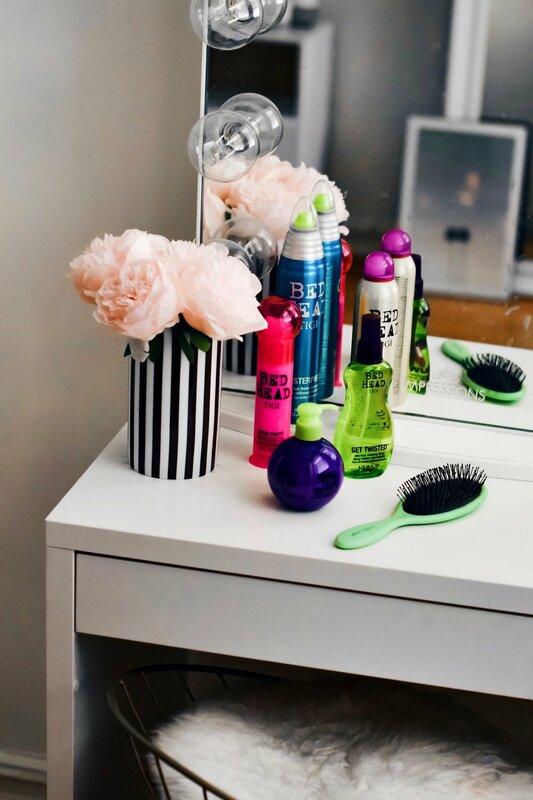 I recently had the opportunity to test 12 of Bed Head by TIGI products, so I wanted to share my thoughts and tell you about my favorites. I guess I haven’t changed much because I went for the most interesting shaped bottles first. The first product I tried was the Masterpiece Massive Shine Hairspray, which has a cone cap. As someone who is prone to frizz, this hairspray worked wonders. A little goes a long way since the spray has a very strong hold. The fragrance is pretty strong, but it’s sweet and smells nice. My favorite product of the bunch was the Headrush Shine Spray and Superfine Mist. I’ve never really incorporated a shine spray into my hair routine, but it made such a difference. My hair actually looked shinier, without being weighed down. It’s definitely a great way to finish off any look, post heat styling, and post hairspray. I also really liked the After Party Smoothing Cream. I used it after blow drying and it gave my hair a super smooth, shiny finish. It smells amazing, didn’t make my hair greasy, and really helped with my flyaways. The fun pink bottle with a translucent bubble cap was a plus too. 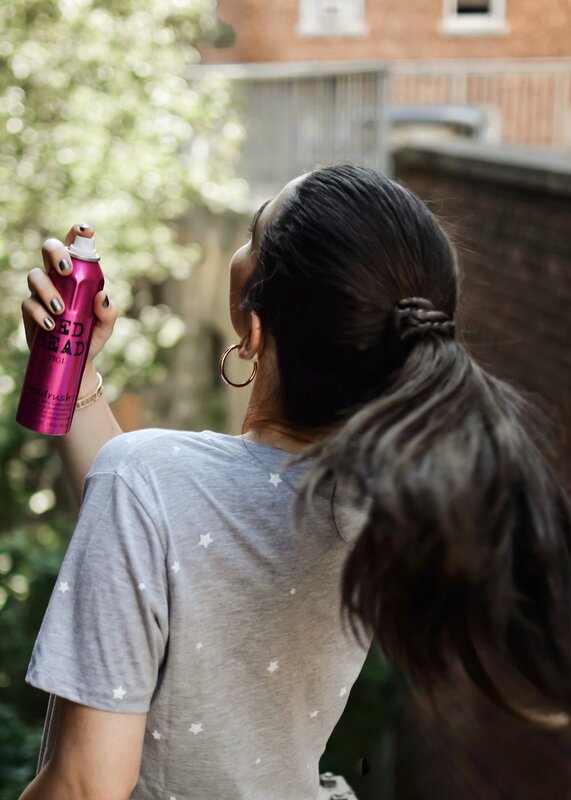 Overall, every product I tried gave great results, but I’ll be sticking with the ones that are frizz reducing, like the Get Twisted Anti-Frizz Finishing Spray, rather than thickening, like the Small Talk, since I’ve got so much natural volume already. The line really includes products for every hair need, as well as multiple options, so it’s just about finding which ones work for you. 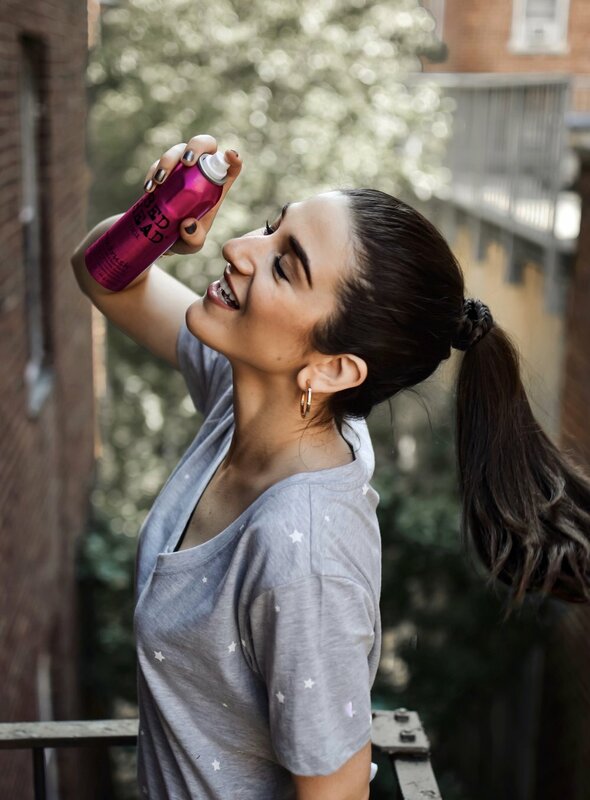 Head over to Ulta Beauty to check out the full Bed Head by TIGI collection. *Thank you Bed Head by TIGI and Her Campus Media for sponsoring this post. All opinions are my own.